On a cold morning early this year, friends of the Russell Boulevard Elementary garden built some new raised beds for their student gardeners with funding help from the Garden Coalition. We’re so thankful to volunteers like these for lending their muscle to help gardens grow and kids learn! 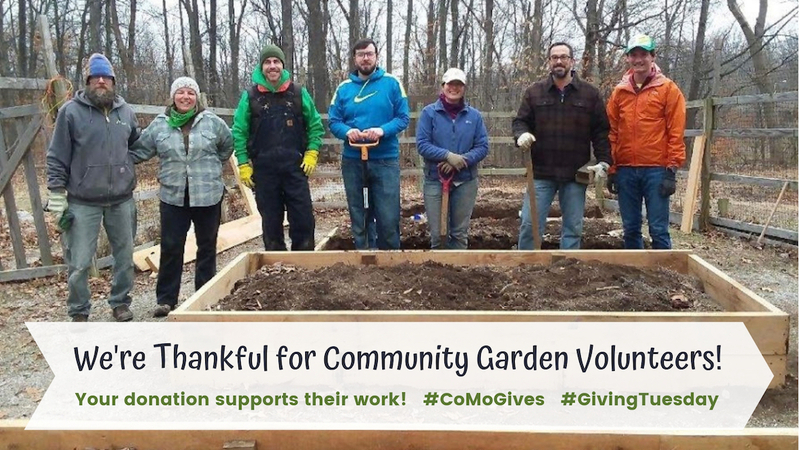 Help us fund more garden projects like this one in 2019 with a quick donation through CoMo Gives!